For over 25 years, Cottonwood RV has been a BC RV Dealer that provides RV Sales, RV Service, RV Parts, RV Accesories, and RV Finance in the Chilliwack, British Columbia area. Our service department has the knowledge and experience to help you with all your RV repair and RV maintenance needs. 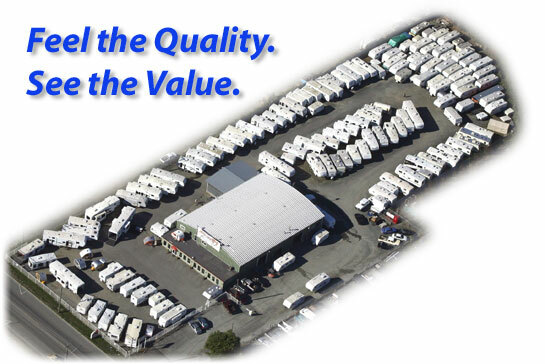 We have over 50 years combined experience in the RV industry, therefore we guarantee we can meet all your RV needs. Our parts department is well stocked, and offers a complete spectrum of RV products and RV accessories. We also have some of the most competitive pricing on New and Used RVs you have ever seen, located on our RV Specials page. We have some of the best BC RV Sales around, and have proven our success. Stop in today to view our RVs and learn more about the RV lifestyle.